SheerWeave interior sun control fabrics provide the perfect balance of light, comfort and beauty, making them the ideal window covering solution for residential and commercial spaces alike. Explore our large selection of exterior sun control fabrics that block 65% to 95% of the sun's heat and glare. Ideal for use in fixed frames or retractable shading systems. 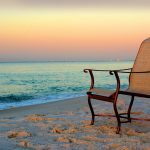 Other benefits include reduced energy costs, insect control, daytime privacy and protection against the fading of furnishings. Determine the perfect screen for your pool or patio with our industry-leading Fiberglass 18X14, 20X20 No-See-Ums, Glas-Shield and TuffScreen® screening products, designed specifically for pool cages where extra strength, small insect prevention and debris control are important. 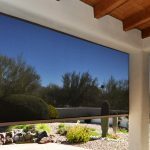 Find the perfect window and door screening to meet your needs for the best view, airflow, tiny insect protection, pet resistance or durability. 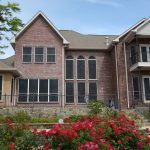 Woven in the U.S.A. from aluminum, bronze or stainless steel wire and vinyl-coated fiberglass or polyester yarn, choose from the largest selection of window and door screening products in the market. 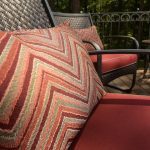 ​Browse pillow and deep seating cushion fabrics in our easy-to-clean, recyclable line of GeoBella brand performance fabrics. Choose from more than 100 designer patterns to enhance the décor of any indoor or outdoor living space. Choose from the leading brand of high performance sling fabrics in the market. Phifertex, the only outdoor furniture fabrics in the world with Microban® antimicrobial protection, is available in jacquard, wicker and PVC/olefin blend designer patterns. 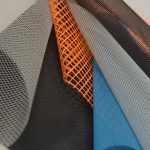 Metal wire and technical textiles woven from aluminum, steel, bronze, stainless steel, fiberglass and polyester in custom mesh combinations. Extensive coating, finishing and packaging capabilities for applications including filtration, reinforcement substrates, ventilation, industrial windscreens/shading, safety and agricultural netting. Learn about our custom drawn aluminum, steel and bronze wire products used in applications, including fasteners, metallizing, food packaging and stranding. Available in diameters ranging from .005” (0.127mm) to .375” (9.5mm) as well as a comprehensive list of packaging options, heat treatments and finishes.